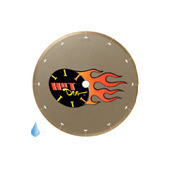 Custs 10% faster, lasts 20% longer than standard blades. Standard arbor size fits all the tile saws! 8Through the use of Micro Bead Technology, the MK-225 ensures a consistent cutting edge and eliminates porcelain surface chipping even the hardest porcelain tile. Innovative tension slots prevents dishing and blade wobble. The patent pending stiffened slot and ultra-thin kerf allows the MK-225 to cut with less resistance than any other tile blade. Decreased resistance means longer blade life and increased cutting effeciency. 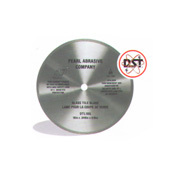 Not for cutting: metal, plastic, wood, non-masonry material. MK-155949 MK-215GL Supreme Grade Metal Bond - 8"
MK-155950 MK-215GL Supreme Grade Metal Bond - 10"
Supreme grade, super high rim blade is designed to retain the cutting edge in order to provide consistent high performance for high production jobs - for tile, marble and granite. 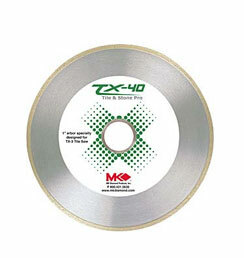 MK-166968 TX-40 Tile and Stone Pro Blade - 10"
TX-40 delivers what you’d expect from a top of the line diamond blade. 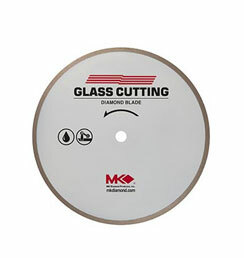 This is MK Diamond’s very best for cutting tile & stone. From marble to granite, you can count on the TX-40 to get the job done. The thicker blade kerf and high rim height makes it the ideal choice for jobs that require miter cutting. 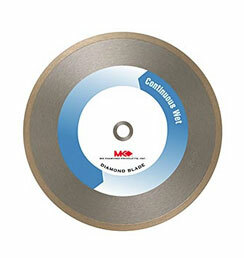 Glass blade is a specialized wheel for cutting glass tile. It provides for an exceptionally fast cut and minimizes chipping, due to special bonds within the diamonds and a thin matrix. 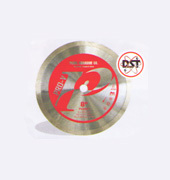 PRL-PV10PT P2 Pro-V Segmented Porcelain - 10"
PRL-PV08PT P2 Pro-V Segmented Porcelain - 8"
PRL-PV04PT P2 Pro-V Segmented Porcelain - 4"
P2 Pro-V Segmented Porcelain Blade has a continuous rim for a clean and chip-free cut. It is ideal for cutting extra hard ceramics, porcelain and other hard/dense materials. 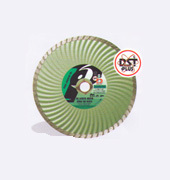 Can be used for wet or dry cutting. Recommended for usage on Granite, Block, Brick, Concrete, Marble, Natural Stone, Refractory Material, Soft Stone and Sand Stone. 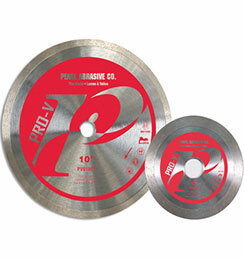 Pro-V series blades have 10mm rim height for longer life, Stong 060" steel core for clean, chip free cutting.